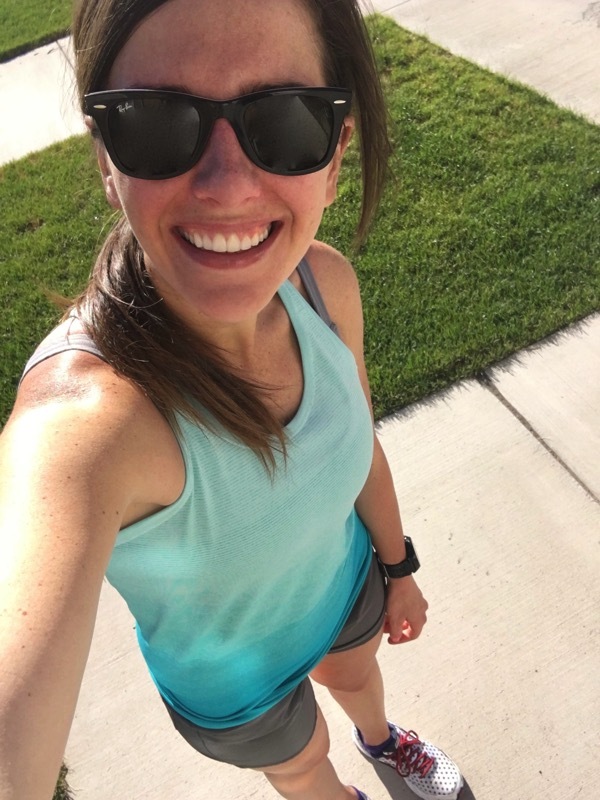 I LOVED reading your responses to the running survey yesterday… you still have one more day to enter it here and I’ll pick the winner Friday morning! SEVEN POINT FIVE MILES yesterday. And ten today (with Josse)! It’s like my whole knees breaking/shattering on the concrete the other day never happened (yes, I just exaggerated the story a little bit…). The human body is amazing. I sometimes think about all of the random injuries I’ve had (everything from Turf Toe to those fractures in my femurs) and I’m amazed how the body can heal, strengthen and now all of those areas feel great. Don’t give up hope on your injuries, with a little TLC (physical therapists, doctors, chiropractors etc too sometimes) they will feel strong again. I got home and Brooke immediately was ready to start getting to work on painting her nails. 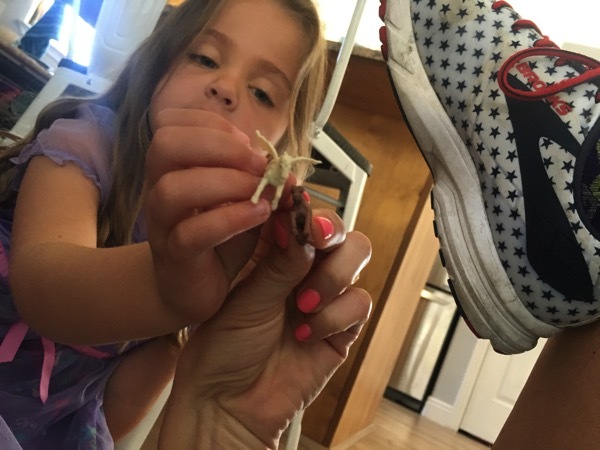 We started by playing horses while stretching at the same time… multitasking. I think one of my favorite things to do right after a run is to lie completely flat on the ground on my back and reach my arms up and stretch them as high as they go while at the same time stretching my feet down as far as they go. It feels so good to just lengthen it all out after pounding out the miles. Once I got home, Andrew left for his 8 miler. He is going to do the AF Canyon Half Marathon too (on June 24th!!) so he is building up his mileage but he was not looking forward to running. I told him to just tell himself he is going to go out for 20 minutes (I like to trick myself to get myself out the door and then when I get to 20 minutes I am happy to do the rest of my run) but he told me he can’t do that because he really would only do 20 minutes:) He’s right.. that trick wouldn’t work for him but he built up the willpower and went out and rocked his 8 miles. Andrew has 3 hospital 12 hour shifts before the end of the week so he is squeezing in as much outdoor time together as possible before that. 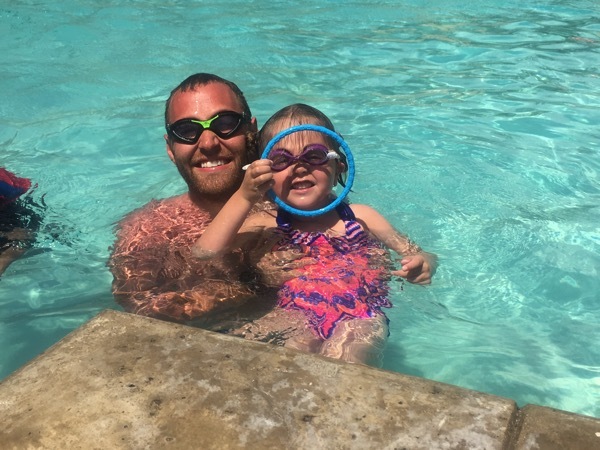 He and Brooke dove for that ring for 30 minute straight… she has become quite the swimmer. 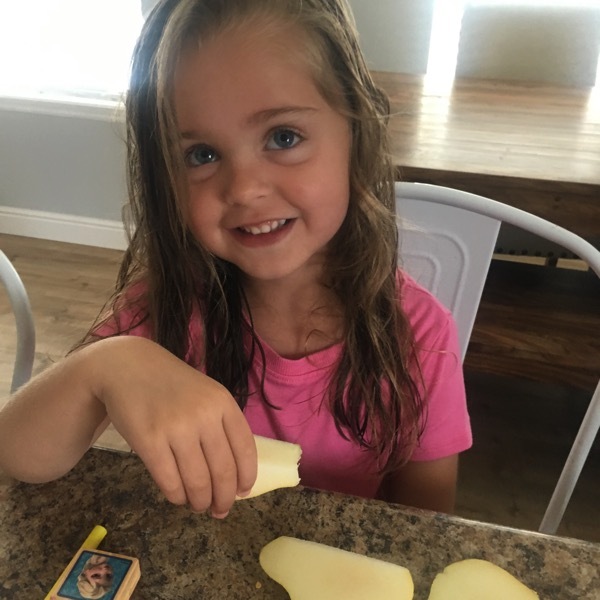 We came home to do some work/chores/showers and then got to work on some heavenly pears. 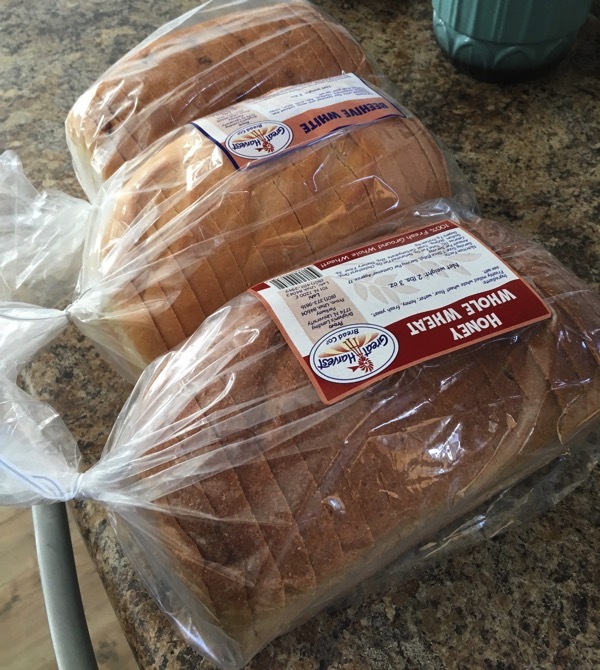 While Andrew was out doing some errands I asked him to bring home a loaf of bread on his way home… he brought three. He knows how to make me smile. 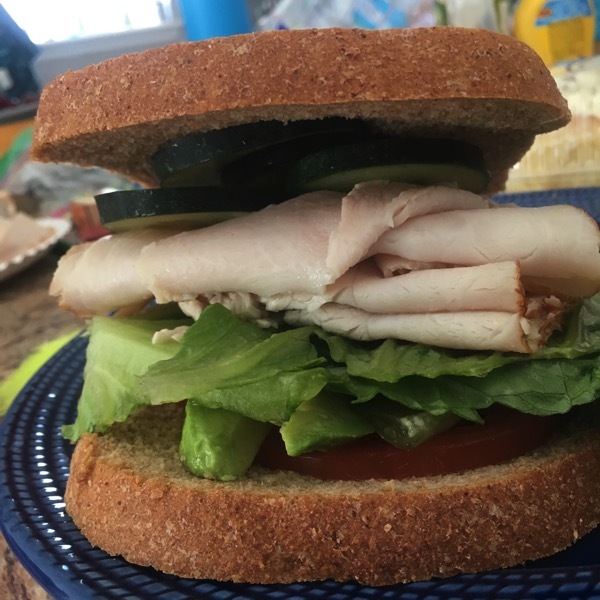 We had some mile high sandwiches (tomatoes, avocado, lettuce, turkey, cucumbers and mayo/mayonnaise added after the picture.. because I forgot about them until I was looking at the picture). And he also thankfully brought these for us too. My niece (one that we don’t get to see often) came over to be with us last night and she was pretty happy about these too! And once Brooke went to bed and our niece left… We got caught up on The Bachelor. Don’t mind my allergy eye… allergies are in FULL effect over here. I saw this quote below the other day and I loved it especially for how it applies to running for me:) My long term goal (as I’ve told you approximately 4,592 times) is to get a Sub 3 Marathon. Even if it is 2:59:59.99, I want it bad! It’s something that I wanted starting at the finish line of my very first marathon. I remember talking to a 2:3something marathoner a few days after I did my first marathon (3:20) and telling him that at my next marathon (ehh 5 weeks later), I was going to go sub 3. He smiled and nodded. Getting to that sub 3 marathon has been a lot harder than I first imagined it to be but I know it’s there (my old coach and I talked about the timing of this goal the other day!!:). BUT I had to laugh at this quote because I think I have made close to a million mistakes along the way… so thanks for sticking around with me during all of those mistakes. There have been a lot and I’m sure there will be a lot more but that makes life fun right? I was reading something the other day that wasn’t about running but is perfect for running too: “Wise goal setting includes the understanding that short-term goals are only effective if they lead to clearly understood longer-term goals.” (source) I think this is applicable to every goal in life and also our running! Setting short-term goals that I know will help me get to my big long-term goals is key to training (I think:). If you have a goal marathon that is your current long-term goal, you aren’t going to make short-term goals like racing a half-marathon the weekend before the marathon or focusing on training for a killer 5k pr during the training cycle when the marathon is your long-term goal! So when thinking about my long-term running goals (sub 3 and yep… a sub 1:20 half marathon someday)…. I really need to make sure my short term goals with running/life are lining up with that! Sorry for the ramble, it’s just been on my brain. Stay focused, stay patient and consistent… you’ll get those goals and I better hear ALL about it when you do. I’ll see you this afternoon over here:) Hope your Thursday is a great one!!! IT’S JUNE!!! Have any races this month? Any birthdays this month? What day? What is one of your long term goals with running? What about some of your short-term goals? Have a favorite type of bread? Ever had Great Harvest bread… which one is your favorite? I want to hear about your Thursday workout. Give me the details… I love hearing! As much as I wish I could be like you with tricking yourself into doing a run by only going 20 minutes, I think I’m more like Andrew and would stop at 20 ha! The tank you have on in your running picture is my favorite color, I might need to add it to my workout wardrobe. This was awesome and definitely something I needed to hear! Glad your knee is better! Thank you Kaytlin! I hope you have a great day!!! I love that quote about making mistakes. :) My long-term goals for running involve breaking 1:23 in the half marathon (I’ve come so close!!) and breaking 18:30 in the 5K (even though I hate 5Ks). As for my short-term goals, I just need to get healthy and back in shape. Running has take a backseat to my kidney for the last few months, and I haven’t been able to train as hard as I used to. I just want to get better, because I really miss running far and fast, and I REALLY miss racing. I love so many types of breads! I really like the Cobblestone brand and anything by King’s Hawaiian. I’ve been on a huge tortilla kick lately, especially the ones by La Banderita–they are SO good. Oh Natalie… I am so so excited for your goals and seeing you reach them! I am so sorry about what has been going on with your kidney… I’m hoping you are fully recovered ASAP! Keep me updated! 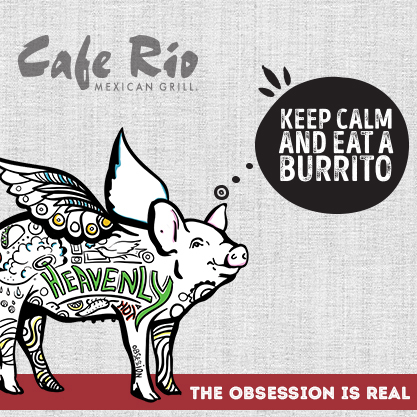 Oh yes, tortillas = heaven! Great job on the run! Always better when followed by a big sammie. My favorite type of breas is anything grainsy and DENSE. Forget fluffy, I want some Oomph in there! Oh thank you Carrie! I hope you get some dense and grainy bread ASAP!!!! It’s June and I have THREE races this month. Actually in the next two weeks eeek! I have a 5K this Saturday, next Wednesday for Global Running Day and then the following Tuesday at a convention I’m attending in Orlando. I really, really wanted to give myself something to work toward (nothing like paying money to run to give you motivation to get out and prepare! ), and all of a sudden I had three races on my plate! I’m excited though! I am so excited for your month Joanne, tell me about all of your races afterwards please! Seriously… racing is my biggest motivation! Stoked for you! Enjoy your run and yoga tonight! My short term goal is to just get out for a run this afternoon! I went out yesterday and had to cut it short at two miles, horrible cramps and just overall pain! I’m hoping today is better and shooting for six! Long term, get another half marathon under my belt! BOO to horrible cramps… I hope today is the opposite of yesterday! Can’t wait for your next half marathon! Hope you are having a great day Juliette! I’m running the AF half too!! I hope I see you. AHHHH YES!!! I hope I see you too!!!! Great harvest bread is the BEST!!! I haven’t had it in awhile but I remember my favorite used to be apple scrapple (I think that’s the name?) it had a thick coating of brown sugar on top… SO good. Basically dessert in bread form. haha. I think I need to have the apple scrapple soon… that sounds amazing! That is an awesome trick… so glad it usually works but some days our body just needs a rest/nap/whatever!!! Enjoy the rest of your Thursday Ashley! So glad your knee is feeling better!! My current running goal is to successfully finish my first marathon this fall! I have a hilly 5 miler through a nearby park planned for today – one of my favourite routes. Oh thank you so much Jessica! I LOVE YOUR GOAL… I can’t wait to hear all about how you rock it this fall! Yay for one of your favorite routes and HILLS!!! I hope you have a lovely day too! Love the mistake quote! 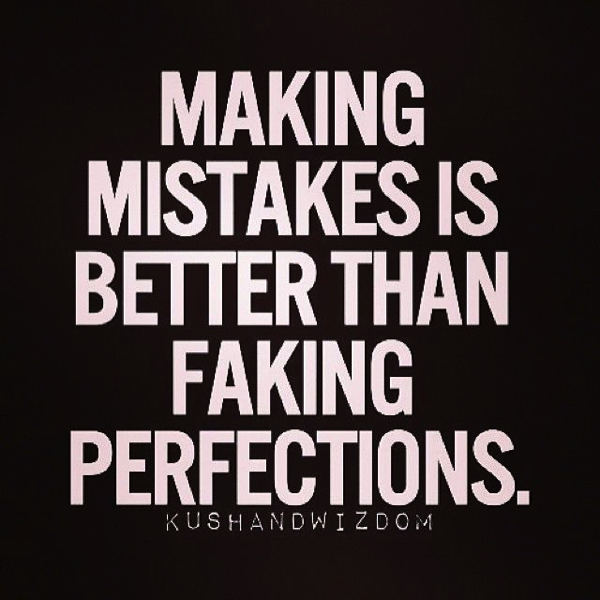 I fall into that trap a lot – and since I always fail at being perfect, why don’t I just own my mistakes?! No races this month, because I’m in the Army and I’m going to the School of Music all summer long, but I do have a birthday! June 16 :) Glad your knee is better and you can run all the miles again, yay! I’m right there with you Miranda. Thank you for all you do for our country and I hope you have the best birthday MONTH (you’ve got to celebrate all month long)!! I just read that Orem’s mayor announced that Trader Joes will be coming to University Place in 2018. I thought that would make you happy. :) Just a 5 miler for me today. Happy Thursday! The best news I have ever received. Thank you Ashley… I’m so excited! Love those 5 milers and enjoy your Thursday!!! Glad you are doing better! 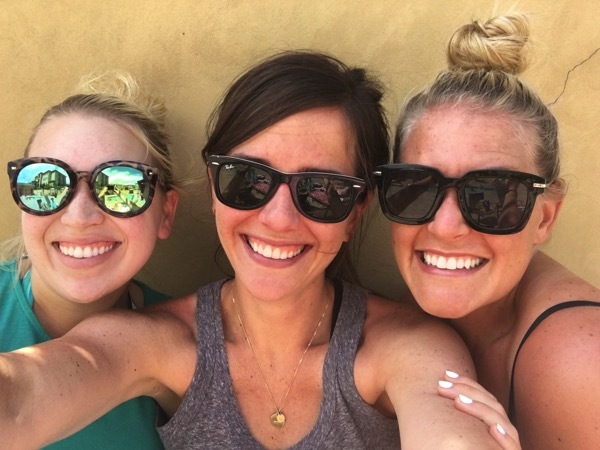 Do you run in your Ray Bans or was that just a post-run shot? I’d be so nervous they’d fall off be careful!!! Favorite bread – anything with a lot of stuff in it – anyone who has a wegmans, try the marathon bread! I obvi just got it for the name, but it’s so delish – it has carrots and seeds and nuts and other stuff in it. It’s a little small for a sandwich, but makes great PB Toast! On deck for workout today – little baby tempo run, 15 min of tempo in the middle of 6-7 miles! Hey Casey! So I actually run with them on… crazy huh!? So they actually don’t move at all when I run in them.. it’s awesome! I hope you get some amazing bread soon and I need that marathon bread!!! I hope you have an awesome tempo! Ah! I am so glad to hear your knee is feeling better. For me, I’m hoping to log quality miles this month. I’ll probably race something towards the end of the month though! Thank you Hollie and I was so happy to see your run with your brother! I can’t wait to keep following along, I love the way you train (and give yourself breaks when you need)! I love great harvest. When they did their free slice of bread I’d get it for my lunch all the time. Or if I was ever shopping by one I always stopped in to get one. YES… we did the free slice all of the time too! They still do a free slice if you buy something so we always do that. I hope you have an amazing day today Jenny! HAPPY BIRTHDAY MONTH ANNA… I hope you celebrate all month long and I LOVE your goal… that is awesome! Please let me know how it goes (and yeah… you are going to have to add that .2;) I love it! I don’t have any races this month but I have been helping my friend train for his first half and that is the Milwaukee Rock n Sole Half on June 10th! As for goals, my goal is to start adding strength training more – I say it every month/week/year but I am actually going to stick to it this time! I started doing a 25 minute HIIT strength class with all body weight and I LOVE it because it is over even more I realize how much I dislike strength training. Oh that is so awesome that you’ve been helping your friend train for their first half… that’s awesome! Great goal Ashley… I need to do that too!!! I hope you have some cinnamon raisin bread soon! That’s great to hear your knee is feeling better! And I LOVE Great Harvest, my parents are actually opening one in our town in MA! Thanks Audrey… that is SO awesome about your parents. I want to come to your parents’ Great Harvest! 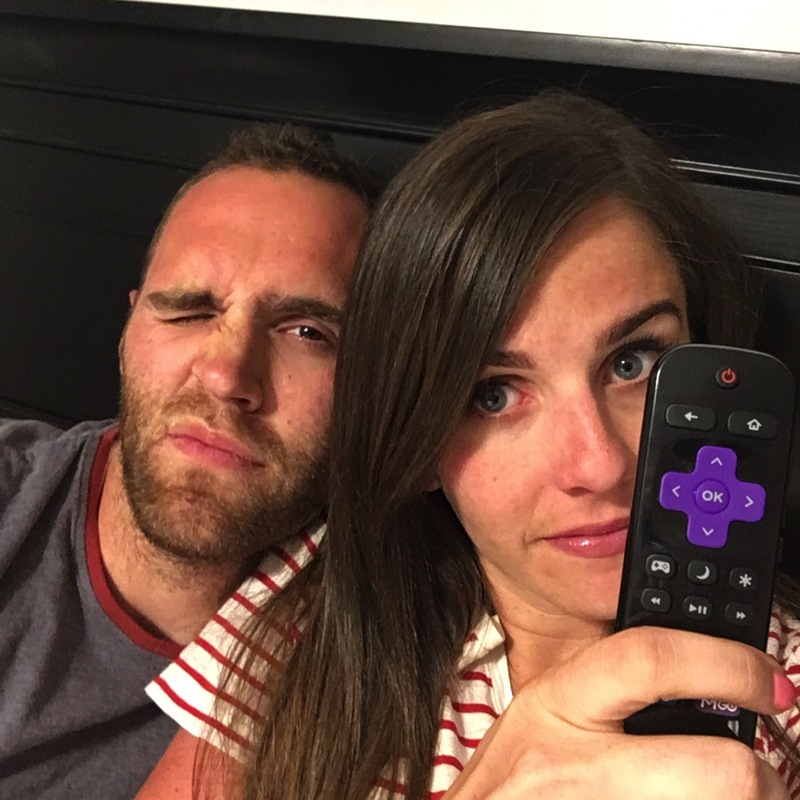 Colleen… congrats on the pregnancy and you are almost there! Keep me updated on how you are doing and how that baby is:) So excited for you! 22nd anniversary tomorrow!?!?! GINA… HAPPY ANNIVERSARY!!! That is so exciting and I hope you have the perfect day tomorrow! I don’t have any races this month, which I am kind of happy with. June will be working on upping my mileage from 5 miles to 7 miles. 7 miles is my happy place in terms of mileage. Someday I will do another 1/2 but I really don’t love them. I love 10Ks – I am doing one in July and a few in the fall. But I also want to spend a lot of time hiking to prepare for our vacation this summer. I am the biggest believer in doing the races/mileage that our bodies love! Why force a longer race distance if we don’t like it or if our bodies don’t like it? It doesn’t make sense. 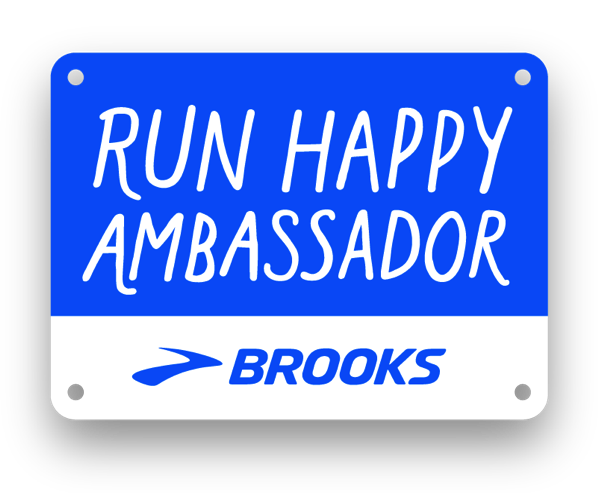 I LOVE that you are doing your happy place and keep rocking those 10ks… I want to hear all about your July races! Enjoy all of the hiking Jessey! There used to be an amazing European bakery not far from me. They were a little whole in the wall place but everything I tried from there was delicious. My favorite was their multi-grain bread. My workout for today will be learning some new Zumba choreography. I want to live by an European bakery… sounds amazing!!! Yay for new Zumba choreography, sounds like a blast Fiona! My big goal is to BQ and run Boston! My smaller goal and stepping stone is chasing that goal is running my first marathon this fall! Thank you for your wise words on injuries Janae. After my run yesterday, I’ve been dealing with this weird ache all over my leg. It feels like a stabbing pain that will move around my hamstring, quad, and calf. It was so bad this morning that I couldn’t go for my run. I got disappointed and wondered if I’m really going to be able to reach my running goals this year. But after reading this I feel way more optimistic. Long term goal with running is to run my fist marathon. Short term goal is to run my first half marathon. OH NO about the ache on your leg… that is awful! Take the time off to get better and you will! I’m so sorry, keep me updated! HAPPY BIRTHDAY MONTH… celebrate all month long! Can’t wait to hear all about your first half and full marathon! I have a 5K coming up for a local school. I love doing 5K’s all summer long, they support such great local things. School, cancer’s, kid’s things, just love supporting in a running kind of way. And yes, I admit, I love the shirts too. Fave bread, right now, is Rhodes Rolls. Oh man, goodness gracious, it’s so good. Otherwise it’s always that Hawaiian bread. Thursday workout is landscaping (carrying and trenching bricks for edging, leveling out dirt, planting plants, mulching it all, after we carry the bags of mulch 15 million feet). Never thought I’d do 2 billion squats, but I think it’s going to happen today. But…at least we have beautiful weather today. Anyone wants to help the landscaping party, any takers?? AHHH Phoenix… maybe I’ll come down for that!!! Seriously, that sub-3 is SO close to you. You’ve got that in you Suzy and I can’t wait to celebrate when you get it. Long term running goal is a 3:38 marathon so I can qualify for Boston!! Short term is to chill a bit before fall marathon training and then add in speed work, hills, and hopefully some 5 and 10k’s. I really love Ezekiel Cinnamon Raisin bread! I cannot wait to see you qualify for Boston Marissa!!! Oh that bread is soooo good. Way to go on boot camp… I can’t do my hair for a day or two after I do bootcamp haha. Enjoy your day! My long term goal would be to run a sub 2 hour half marathon and a 4 hour marathon. Currently working gaining and maintaining strength and adding in more miles. I’m training for Chicago Marathon this year and I’m hoping for A) 4:20 or B) 4:30. RIGHT?!? I swear it was just February. GOOD LUCK ON SATURDAY and I hope that you find plenty of shade along the course and that the water/gatorade is so cold. I always poor water on myself during toasty races and it helps a ton. I’m so excited for you to reach your goals… you’ve got this! AHHHH Chicago… I want to do that one someday. Enjoy your day Kori! My long term running goals are to complete a 50k (this fall???) and remain healthy. Health is such a HUGE priority in my life where I have a lot of unhealthy people surrounding me. You know, we have a Great Harvest right down the street from us and I’ve never been there! I need to change that ASAP I suppose! Only a light IT strengthening routine this AM as I have my relay this Sat and I’m also tapering for the 26.2! Gah!!!!!!!!!!! PS – YAY for running with no knee pain! That’s really exciting!! Jenny, I am so beyond excited for you. You’ve done the work with your training… time to go celebrate those miles! You’ve got this and PLEASE let me know how it goes afterwards! Oh a 50k.. I want to do that someday too… keep me updated! Go to Great Harvest. Please keep me updated! It was a “look at that crazy lady on the elliptical machine reading and going 100 miles an hour” workout! I love the elliptical. I start out slowly, just getting the body moving (this is my trick – similar to yours for running. tell myself that going slowly for 45 mins is better than sitting for 45 mins). Eventually I loosen up and then I do tempo-style or intervals and get a good sweat/endorphins. I’m reading Lonesome Dove (good book) so even though I WANT to run every day, my body and reading-mind enjoy the elliptical break. ( i read a paper book … until i cross over to reading on the ipad, i don’t read on the treadmill). I’d love to break 3:20 (current pr is 3:24:03) for the marathon and break 1:30 (current pr is 1:33) in a half… we shall see. BAHAHAH Your workout sounds KILLER Amanda… way to go! I’m going to have to check out Lonesome Dove… I’m glad you got a break from running, an awesome workout and that you got to read your book! Oh girl… YOU’VE GOT THOSE GOALS. It’s in you and I can’t wait to hear all about it. Okay, YES… I saw that video on YouTube and it was incredible. So much strength and determination in those women! Haha it made me want to do a trail marathon… definitely not 100 miles. I hope you have an awesome day! yes to June birthdays! My birthday is on Monday! AHHHH WAHOOOO happy birthday on Monday Meredith and I hope you celebrate all weekend long too! I hope you are having a beautiful day! MAGGIE!!! HAPPY HAPPY HAPPY BIRTHDAY!!! I hope that the work day zooms by and that you are in the sunshine soon eating cake and enjoying every second! Thank you so much for your encouraging words. I was training for my first marathon and had to call it when I hurt my hip. I’ve been really bummed missing something I worked so hard for and not being able to run right now. It’s helps so much to hear other stories and be able to relate. 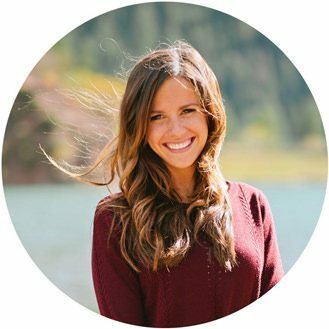 I have been reading your blog for the past 4 years and you are always such an inspiration! I LOVE June–my favorite month and time of the year! I’m a teacher, so HELLO SUMMER VACATION AND MORNING RUNNING! 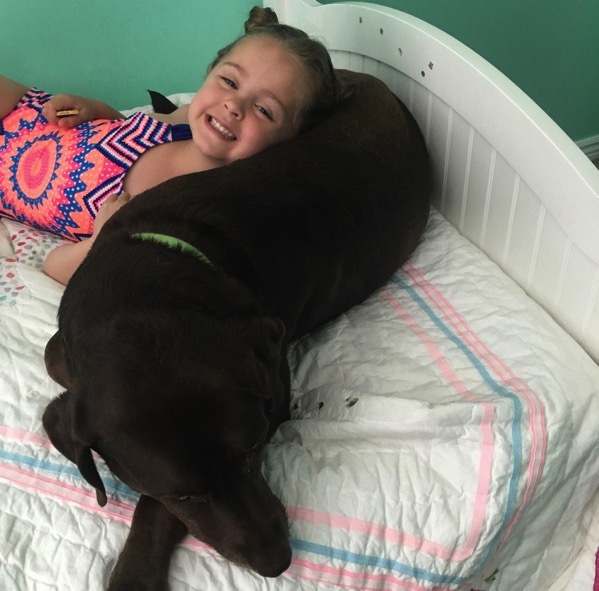 My birthday is 6/19, and my youngest daughter turns 8 today on 6/1! Races…….doing my first trail race–a 10K on June 25th, mainly for fun and just to mix things up! :) No real aspirations to win or big goals, just a fun “race”! Long-term goal—Boston Qualify. Short term–stay healthy, which is harder than it seems! Fav bread—challah from Wegman’s. I forget the brand, but holy soft goodness. We used to have a Great Harvest near us. Of course I liked their iced sweet breads the best. At one point they had cherry pie bread. That was pretty awesome, too. Hope your June is off to a great start, Janae! I need to listen to your podcast with Lindsey Hein soon!!!! I love any type of bread but especially the cheese and tomato rolls at are local Cobs bread. My workout was a run commute to work (12km or 7 miles). I get to run along the water and the seawall in Vancouver BC which is one of my favourite routes. Short term running goals: being consistent with my mileage and finishing the two ultras I have on my plate for this summer and fall in one piece:). Oh yes, and staying in one piece! Long term goals: break 3:15 for the marathon, break 1:30 for the half and break 40 minutes for the 10km. I only have a couple minutes to take off for my half marathon goal and 10km goal, but somehow I think that might be harder than breaking 3:15 for the marathon:p. Everyone keeps telling me I can do it (unsolicited advice so maybe I should try). I just have to do formal speed work, which I hate haha although I like running fast. I think ultimately I want to find out what I’m capable of because even though I’ve trained for many of my races and gone in well prepared, I have only 1x raced all out and had nothing l eft in the tank after a race. A lot of times, I had gas left in the tank. I want to know what it is to really race and then let the chips fall where they may. My marathon PR is a 3:16 and half is 1:27 – my goals are 3:10 and 1:25 … almost there but the last few years have made it feel FAR away. I have this 50k on Saturday (http://dirty30.org/golden-gate/course-info/). 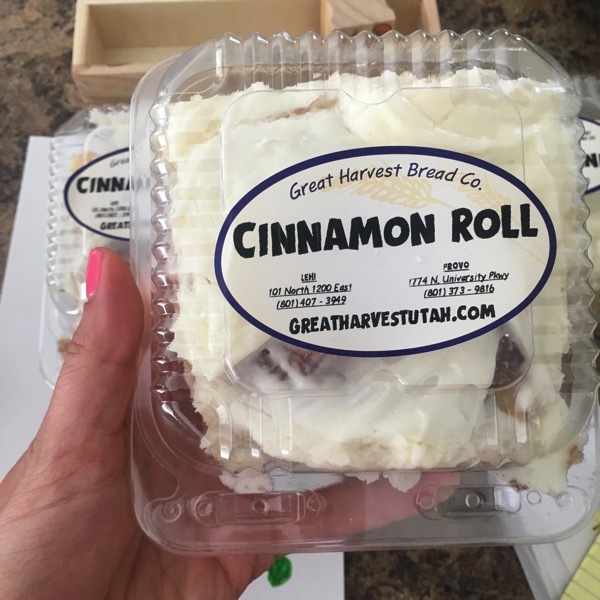 My favorite Great Harvest bread is the Cinnamon Burst. Then the whole wheat. No run for me today and just a short 3 miler tomorrow. My long term goal is to finish a 100 miler! We’ll see. 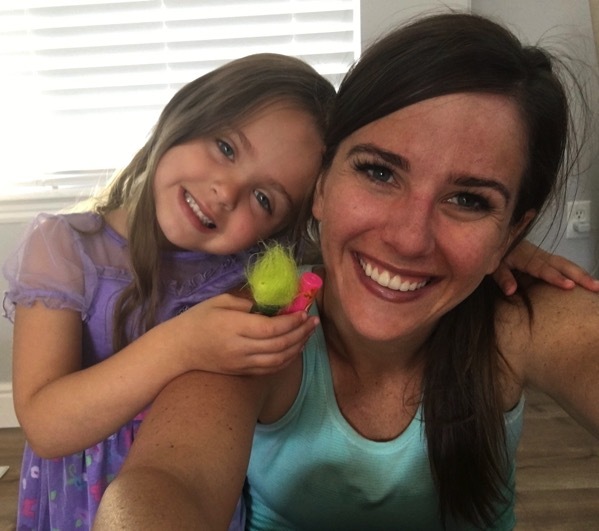 Being a single mom, working full time, and 2 kids in lots of sports makes it hard to train for something like that! My long term goal with running is to break 2 hours st the Flying Pig half next spring. My PR is 1:40, but this will be 6 months after giving birth (likely c-section) and after my son was born (also c-section) I ran a half roughly 6 months later that was like 2:10 or something. So my short term goals, since I haven’t been able to run, are to walk daily and get a few days of cross training in each week and to keep up with my lunges and squats. I had a goal in 2015 to run my first marathon. In the midst of training I ran an awesome half marathon and did my first triathlon. The half was fine, but training for the tri in addition to the miles I was putting in for the marathon wasn’t the brightest idea. Total side note…but I LOVE Brooke’s swim suit! I am not making any race plans…but really want to! But I am dealing with my first real injury :(. I have not gotten it diagnosed but it something like high hamstring tendinopothy. I can run on it (not sure that I should be), but I know I cannot train hard or plan a long race with it. I kind of really hate it! I am not patient and I just want it to go away! Those cinnamon rolls are so good. I love pumpkin chocolate chip bread cause, lets face it, it is cake. 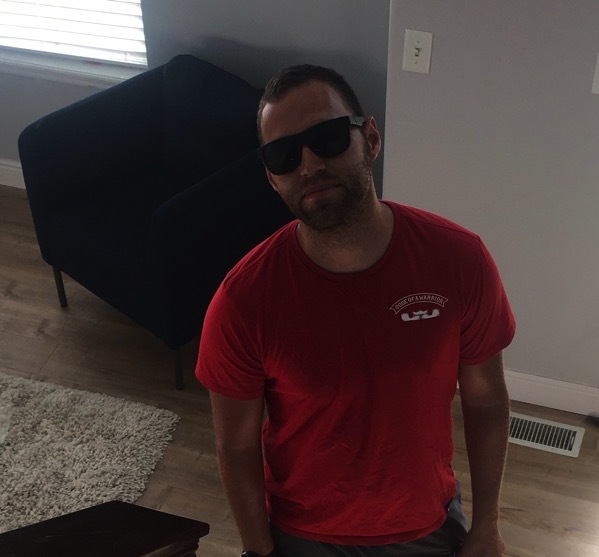 But most importantly, should I watch this week’s Bachelorette? Worth it?